Those of you who are members of the Classical Wisdom Society know that this month we have been looking at Herodotus’ The Histories and the epic struggle for supremacy that was the Greco-Persian wars. And that certainly is a topic worth discussing. It has been argued that had the Greeks been unable to stay off a Persian invasion, the growth of ancient Hellenic culture would have been severely stunted and, by extension, all of Western Society. However, once the fighting is over, the typical thing to do is to fast-forward a few decades to when the next epic struggle for supremacy took place, The Peloponnesian War. After all, who doesn’t love a bit of military history? Nevertheless, the time between the expulsion of Xerxes’ army from the Greek lands and the inevitable standoff between the combatants of the Peloponnesian War is filled with some very interesting pieces of history. As our colleague Joel Bowman put it, “History does not necessarily repeat itself, but it does tend to rhyme.” And since we do live in an age of a sometimes volatile geo-political climate, I thought it might be fun to look through the ages and reexamine the rise, fall, and failings of one of history’s first empires. After the decisive battle of Plataea in 479 BC, the Greeks surely must have been basking in PanHellenic pride. The united city-states, against all odds, had defeated the seemingly invincible Persian Empire and had expelled them from their lands. Perhaps it was the realization that a Greek alliance could accomplish greatness that prompted the Greek cities to cement their union even with the immediate danger of Persian invasion extinguished. 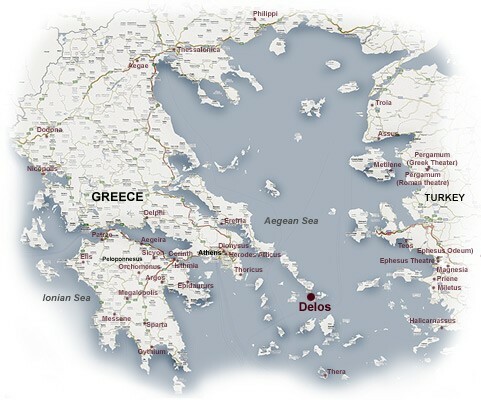 In 478 BC, an alliance of roughly 150 city-states was formed on the island of Delos. The congresses would be held in the temple on the island and the central treasury would be kept there as well. 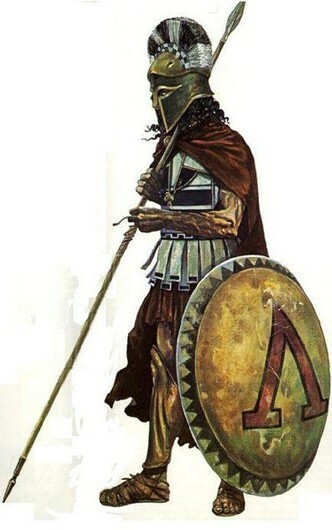 The purpose of this “Delian League” was to continue the fight against the Persians and ensure that they were never capable of invading the Hellenic lands again. 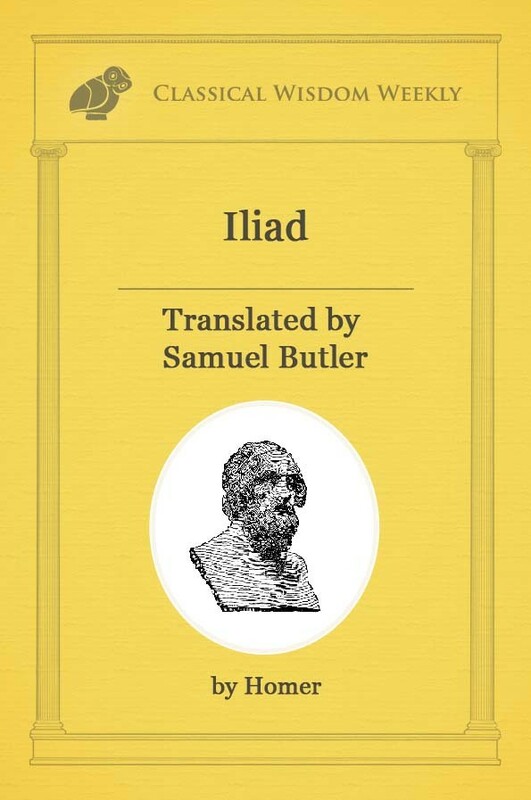 Thucydides tells us that the representatives present at the formation of the league simultaneously dropped pieces of metal into the sea to symbolize the permanence of their commitments to one another. Sparta was notably absent from this new alliance. Always fearful of a slave revolt at home, the Spartans opted out of what would surely be a costly and dangerous series of campaigns. After all, fighting the Persians on Greek soil was one thing. Picking a fight with them on their home turf was quite another. In order to be a member of this new alliance, it was required that the affiliate states contribute money, warships, soldiers, raw material, or a combination of the four. 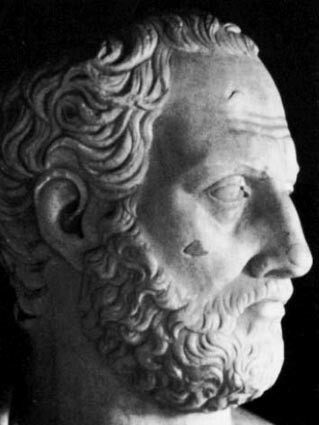 While Thucydides tells us that Chios and Lesbos did contribute ships, the majority of the participants were happy enough to contribute funds and allow the leader of the alliance, Athens, to do all the heavy lifting. This arrangement worked fine for the Athenians who used the dues from member cities to bolster their already impressive navy. Additionally, the Athenians took advantage of their numerous impoverished citizens. 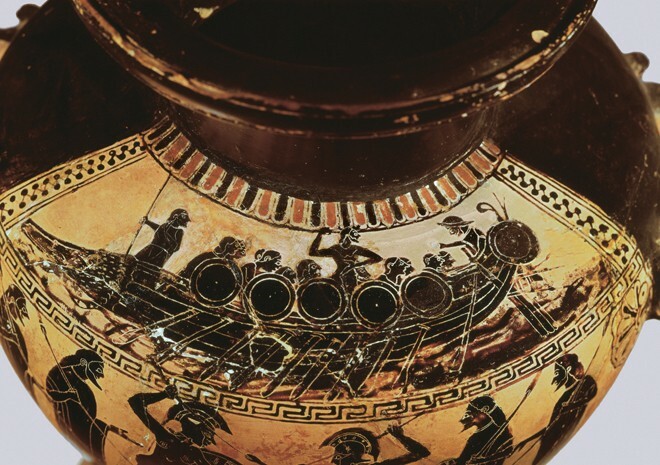 Unskilled men could act as rowers on Athenian triremes and be paid handsomely for their efforts. It is estimated that an Athenian rower made about as much in a month as a common farmer made in a year. Well funded and well equipped, the league waged war against the Persian outpost in Northern Greece and the Aegean islands for the next decade. And, perhaps surprisingly, they were largely successful. Under the command of Cimon, son of the hero of Marathon, Miltiades, the league captured the Persian fortress of Eion on the Thracian coast (northern Greece) and continued to wage war against the Persians across the Aegean and into Asia Minor. By about 465 BC, much of the Aegean was free from the Persian Empire. As the league continued to battle the Persians out of the Aegean, they regularly set up allied colonies and transported Athenian citizens to settle the newly democratic societies. The defeated cities were also compelled by Athens to join the Delian League. As Plutarch tells us, joining the alliance was not always a choice. The Athenians dealt with the small city of Carystus in Euboea in a similar fashion. Carystus had declined to join the league on a number of occasions. Fearing that the nearby city could prove a valuable foothold for the Persians, the Athenian war vessels visited the small civilization and conquered the city. They were then forced to join the expanding league. Even with these instances of aggressions, the early decades of the Delian League’s existence were largely productive. The various members acted largely autonomously and had equal voting rights at the Delian councils. The Athenians certainly benefited from the existence of the league. As the de facto leader, Athens continued to fill their coffers with plundered treasure and captured slaves. The spoils of war that the Athenians took were not only monetary in nature. With continued victory came glory for Athenian aristocracy like Cimon, and glory meant a stronger standing within the Athenian elite. Additionally, it is estimated that the tributes paid each year to the alliance was equivalent to $200,000,000 in contemporary terms. With a an adult male population of about 40,000, these figures meant unrivaled prosperity. Athens now had a reason to preserve the league, no matter the cost. It is difficult to pinpoint when exactly the Delian League transformed into an Athenian Empire. It is probable that the shift began around 465 BC. The Persian presence in the Greek lands had been all but eliminated. With the purpose of the league fulfilled, the city of Thasos attempted to withdraw from the alliance. Athens could not allow this to happen. They had already tasted the spoils brought to them by the Delian league and the power that came with it. The abolishment of the alliance would mark the end of Athenian supremacy. And so, needing to maintain the alliance, Athens sent warships to Thasos with the intent of conquering the city. The Thasians appealed to the Spartans for help, but the powerhouse of the Peloponnese was preoccupied with the largest slave riot in their history. After two years of fighting, Thasos could hold out no longer. They surrendered to the Athenian general Cimon. As punishment for their rebellion, Athens tore down the walls surrounding the city, confiscated Thasos’ army and navy, and lay claim to the rich gold mines in the region. Additionally, Thasos was forced to continue to pay tribute to the Athenians. No longer an autonomous member of the Delian League, Thasos had effectively become an imperial subject, one of the first in a budding Athenian Empire. Come back next week to learn what happens next and to read about the largest embezzlement scandal of ancient history.